Subunit Vaccine Development: methods to develop improved vaccines through the combination of recombinant and synthetic approaches to improve immunopotency and tailor immune responses (links to reseach articles on semisynthetic vaccines and peptide vaccines; reviews on vaccine development). Oligonucleotide Delivery Systems: multi-component synthetic approaches to improve the cellular uptake, and targeted delivery of various oligonucleotide molecules (e.g. siRNA and pDNA) as an exciting approach to treat or prevent various diseases (links to research articles and reviews). Deciphering the Roles of Post-Translational Modifications: The combination of peptide synthesis and protein semisynthesis to enable the production of large amounts of site-specifically modified species, that can be used to deconvolute the roles played by various post-translational modifications (links to research articles). Peptide/Protein Drugs and Delivery: The study of methods to improve the delivery characteristics of peptide/protein drugs (e.g. poor oral absorption, instability to chemical/enzymatic degradation, and the inability to reach their site/s of action) through chemical engineering approaches. The Moyle lab considers applications from potential students and postdoctoral fellows with an interest in: i) subunit vaccine development; ii) delivery systems for peptide therapeutics; iii) targeted delivery systems; iv) studying the function of posttranslational modifications; and v) delivery systems for oligonucleotide therapeutics (e.g. siRNA, shRNA, miRNA). If you are interested in working in any of these areas please feel free to contact Dr Moyle (p.moyle@uq.edu.au). Please ensure that you supply an up to date CV; describe why you would like to work in the Moyle lab; provide a listing of publications (preferably with impact factors and citation counts); and indicate what skills you would bring to the lab. Detailed information on our laboratory is available at www.moylelab.com. Preference will be given to students and postdoctoral fellows who have their own funding. Dr Moyle (H-index 16, 802 citations; 59 publications; 5/12/2017; Google Scholar, ORCID, ResearcherID, and Publons profiles) received a PhD (Dec 2006) and a Bachelor of Pharmacy (Hons I) (Dec 2001) from The University of Queensland (UQ); graduated from the Pharmaceutical Society of Australia pre-registration pharmacist-training course (Nov 2002); and is registered with the Pharmacy Board of Australia. He currently works as a lecturer in the School of Pharmacy (2014-current). 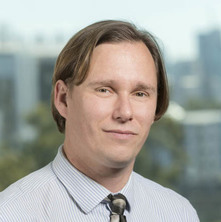 Dr Moyle works in the fields of medicinal chemistry, chemical biology, and drug formulation, investigating subunit vaccine development, outcomes associated with histone post-translational modifications, and methods to improve the delivery characteristics of oligonucleotide (e.g. siRNA and pDNA), peptide, and protein therapeutics. During his PhD, Dr Moyle developed methods that enabled the synthesis of pure, lipid adjuvanted peptide vaccines, using advanced chemical ligation techniques. In addition, the conjugation of mannose to combined prophylactic/therapeutic human papillomavirus type-16 vaccines, to target dendritic cells, was demonstrated to significantly improve vaccine anti-tumour activity. This work, conducted with leading researchers at the QIMR Berghofer Medical Research Institute (Prof Michael Good & Dr Colleen Olive), established Dr Moyle’s national and international profile in the field of vaccine development, resulting in 11 peer reviewed papers, including top journals in the field (J Med Chem; J Org Chem), as well as 6 review articles and 2 invited book chapters. Dr Moyle undertook his postdoctoral training in the laboratory of one of the world’s premier chemical biologists, Professor Tom Muir (the Rockefeller University, NY, USA; now at Princeton University, NJ, USA). During this time he developed an extensive knowledge of techniques for protein expression, bioconjugation, bioassays, and proteomics, which represent an essential skill set required for this proposal. As part of this work, Dr Moyle developed novel synthetic routes to generate site-specific ADP-ribose conjugated peptides and proteins. This research was hailed as a major breakthrough in the field, leading to several collaborations, and an exemplary publication in the prestigious chemistry journal JACS. This vast body of work identified the enzyme (PARP10) responsible for mono-ADP-ribosylation of histone H2B, and demonstrated interactions between this modification and several proteins, including BAL, which is associated with B cell lymphomas. In addition, a number of robust chemical methods were developed to enable the synthesis of a complete library of methyl-arginine containing histones, which were incorporated into synthetic chemically-defined chromatin to investigate the site-specific effects of arginine methylation on histone acetylation. This work led to a collaboration with colleagues at Rockefeller to investigate the effects of histone arginine methylation on transcription. Dr Moyle teaches into the following subjects in the UQ School of Pharmacy. The use of peptides as drugs may suffer from issues including poor oral absorption, instability to chemical/enzymatic degradation, and an inability to reach their site of action. Using chemical techniques we can improve the stability, targeting, circulation time, potency, etc of peptide-based therapeutics. We are currently interested in improving the delivery and stability characteristics of peptide-based therapeutics for diabetes (e.g. GLP-1 and GIP). Using peptide-based approaches to develop targeted, non-toxic systems to enhance the delivery of oligonucleotide therapeutics to their tissue, cellular and intracellular sites of action. We focus on the development on methods to develop improved subunit vaccine formulations against neglected diseases, and diseases for which current vaccine formulations are not ideal. Our recent focus has been on Group A Streptococcus, which is responsible for diseases ranging from a sore throat through to heart and kidney damage, and the flesh eating disease necrotising fasciitis. We also focus on technologies that enable the site specific incorporation of potent vaccine adjuvants into protein, peptide, and carbohydrate-based antigens. We are interested in modern techniques for the engineering of proteins are therapeutic or diagnostic molecules, including their roles as tools to probe the functions of biochemical pathways. We use modern techniques for gene assembly (e.g. SLIC, Gibson assembly), combined with codon optimisation, optimised expression systems, and purification technologies. Using protein semisynthesis to produce highly pure, site-specifically post-translationally modified (e.g. ADP-ribose, methyl, phosphoryl, acetyl) proteins, which can be applied to biochemical assays to accurately determine their function, and the identity of any interacting species. Formulation and Evaluation of anti-alzheimer's drug rivastigmin, as intranasal mucoadhesive nanoparticle gel. Dr Moyle is interested in taking on students with an interest in i) subunit vaccine development, ii) delivery systems for peptide therapeutics, iii) studying the function of post-translational modifications, iv) protein engineering, v) delivery systems for siRNA/shRNA/microRNA. If you are interested in working on any of these areas please contact Dr Moyle. Preference will be given to students who have their own funding (additional information on applying can be found in the biography section). Jackson, David C., Chua, Brendon Y., Brown, Lorena E., Moyle, Peter and Toth, Istvan (2010). Lipopeptide-based vaccines. In Myron M. Levine (Ed. ), New generation vaccines 4th ed. (pp. 315-326) New York, U.S.A.; London, U.K.: Informa Healthcare. Design and evaluation of a stearylated multicomponent peptide-siRNA nanocomplex for efficient cellular siRNA delivery. Moyle, P.M., McGeary, R. P., Blanchfield, J. T. and Toth, I. (2004) Mucosal immunization: Adjuvants and delivery systems. Current Drug Delivery, 1 4: 385-396. Fujita, Y., Moyle, P., Abdel-Aal, A., Batzloff, M., Good, M. and Toth, I. (2007). Development of a Multivalent Heteroepitopic Group A Streptococcus Vaccine. In: Wilce, J., Proceedings of the 4th International Peptide Symposium in conjunction with the 7th Australian Peptide Conference and the 2nd Asia-Pacific International Peptide Symposium, 2007. 4th International Peptide Symposium, Cairns, (). 21-25 October 2007. Simerska, P., Moyle, P. M., Abdel-Aal, A. M., Fujita, Y., Olive, C., Batzloff, M. R., Good, M. F. and Toth, I. (2007). Liposaccharides in Peptide Vaccine Delivery. In: Jackie Wilce, Proceedings of the 4th International Peptide Symposium in conjunction with the 7th Australian Peptide Conference and the 2nd Asia-Pacific International Peptide Symposium, 2007. 4th International Peptide Symposium, Cairns, (). 21-25 October 2007. Toth, I., Moyle, P. M., Simerska, P., Fujita, Y., Olive, C. and Good, M. F. (2007). Novel lipoamino acid based vaccine adjuvant carrier system. In: International Proceedings of the 13th International Congress of Immunology. International Congress of Immunology, Rio de Janeiro, Brazil, (). 21-25 August 2007. Peptide-lipid-carbohydrate based vaccine against group A Streptococcal infection. Simerska, P., Abdel-Aal, A. B., McGeary, R., Moyle, P.M., Fujita, Y., Good, M.F. and Toth, I. (2007). Peptide-lipid-carbohydrate based vaccine against group A Streptococcal infection.. In: International Proceedings of the 13th International Congress of Immunology. 13th International Congress of Immunology, Rio de Janeiro, Brazil, (). August 21-25. Moyle, P. M., Olive, C., Ho, M.-F., Good, M F and Toth, I (2006). Highly pure, multi-epitopic lipopeptide vaccine delivery system: Synthesis and investigation. In: Brisbane Biological & Organic Chemistry Symposium. Brisbane Biological & Organic Chemistry Symposium, Brisbane, (Abstract). 24 Nov 2006. Moyle, P. M., Olive, C., Ho, M.-F. and Toth, I (2006). Highly pure, multi-epitopic lipopeptide vaccine delivery system: Synthesis and investigation. In: GPEN 2006. GPEN 2006, Lawrence, USA, (Abstract). 25 - 27 Oct, 2006. Simerska, P., Bong, Y. K., McGeary, R. P., Moyle, P. M. and Toth, I. (2006). Liposaccharide based vaccine carrier adjuvant systems. In: Drug Design Amongst the Vines, Hunter Valley, (). 3 - 7 December 2006. Toth, I, Moyle, P. M., Koda, Y., Olive, C. and Good, M F (2006). Liposaccharides in peptide, gene and vaccine delivery. In: 10th Naples Workshop on Bioactive Peptides. 10th Naples Workshop on Bioactive Peptides, Naples, (Abstract). 11-14 June, 2006. Toth, I., Moyle, P. M., Koda, Y., Olive, C. and Good, M. F. (2006). Liposaccharides in peptide, gene and vaccine delivery. In: 33rd Annual Meeting & Exposition of the Controlled Release Society. 33rd Annual Meeting and Exposition of the Controlled Release Soy, Vienna, (Abstract). 22-26 July, 2006. Toth, I., Moyle, P. M., Simerska, P., Fujita, Y., Olive, C. and Good, M. F. (2006). Liposaccharides in peptide, gene and vaccine delivery. In: Proceedings of Drug Design Amongst the Vines. Drug Design Amongst the Vines, Hunter Valley, (Abstract). 3 - 7 December, 2006. Fujita, Y., Moyle, P., Olive, C., Good, M. and Toth, I. (2006). Multi-epitopic lipid core peptide vaccine with broad protective immune responses against Group A Streptococcus. In: , , (223-223). .
Fujita, Y, Moyle, P. M., Olive, C., Good, M F and Toth, I (2006). Multi-epitopic lipid core peptide vaccine with broad protective immune responses against Group A streptococcus. In: 29th European Peptide Symposium. 29th European Peptide Symposium, Gdansk, (Abstract). 3-8 Sept, 2006. Moyle, Peter M., Olive, Colleen, Sun, Hsien, Good, Michael and Toth, Istvan (2005). The synthesis and immunological activity of a lipid-core peptide (LCP) based Human Papillomavirus (HPV) type-16 vaccine. In: Flegel, M, Fridkin, M, Gilon, C and Slaninova, J, Peptides 2004: Proceedings of the Third International and Twenty-Eighth European Peptide Symposium. 3rd International Peptide Symposium and 28th European Peptide Symposium, Prague, Czech Republic, (1139-1140). 5-10 September 2004. Moyle, P.M., Mcgeary, R. P. and Toth, I. (2001). Solid-phase synthesis of oligosaccharides utilising a novel Dde-based linker. In: S.A. Charman, Proceedings of APSA Annual Conference 2001. APSA Annual Conference 2001, Melbourne, (105-105). 9-12 Dec 2001. Moyle, Peter Michael (2006). Vaccine-adjuvant-carrier design against group A streptococcus and human papillomavirus type-16 infection PhD Thesis, School of Pharmacy, The University of Queensland.